Think about it, front doors are one of the first things people really get a close up look at when they come to your house. Sure people see the entire outside of your home, but they are looking at the entire house. When they walk up to your front door they have no choice but to look at it, usually touching it. Not only can it be embarrassing but it can also be extremely costly to replace. 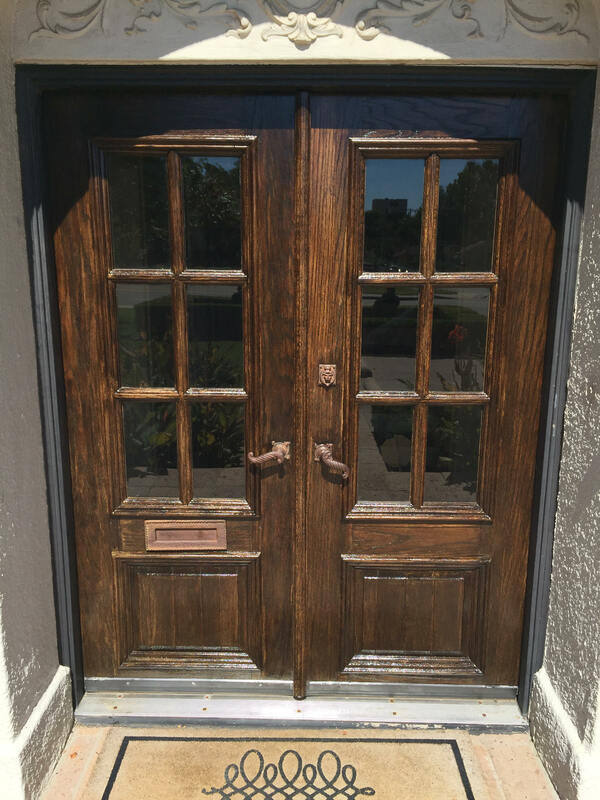 A brand new wooden entry system like the one pictured with 2 doors, installed and finished can easily run several thousand dollars. Green Country Painting can refinish those doors and make them look great again! Saving you money and the headache of having to get a new front door. The most important thing when refinishing a front door is using the correct product. 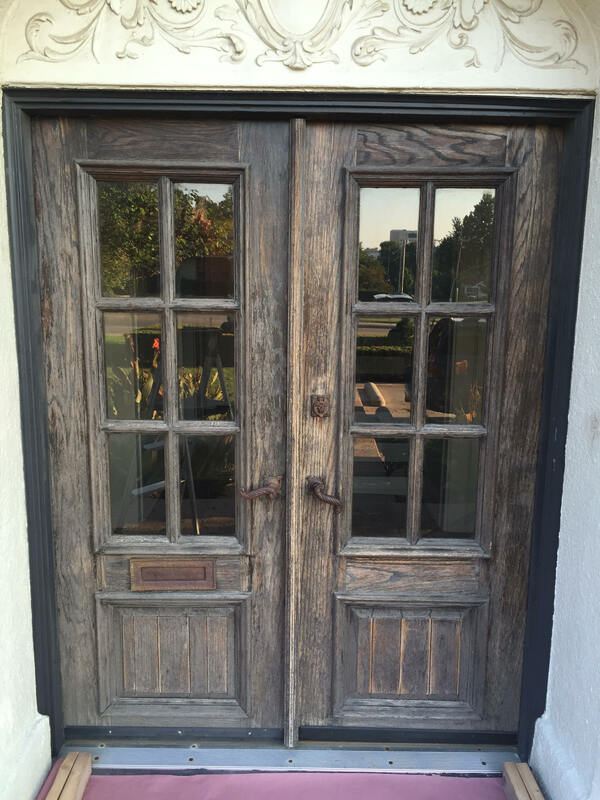 Many times we will see finishes on doors that have failed and were applied roughly a year earlier. Usually this is a result of the wrong product being used. It is imperative that a Spar-Urethane or Marine Coat finish be used. This is because they are made for exterior use and have exceptional UV and moisture resistance. This part is important, just because you use one of these products does not mean your door will be good for the next 5 years. That is dependent on how much sun, moisture etc. your door receives every year. Some doors not facing West (no direct afternoon sun) and having a large front porch (little rain/water hitting it) could have a finish that will last 10+ years. On the other hand, doors in direct afternoon sun and no protection from weather could need to be recoated in 12-18 months. The important part is keeping an eye on your front door and as soon as it looks like it needs a maintenance coat, apply one!